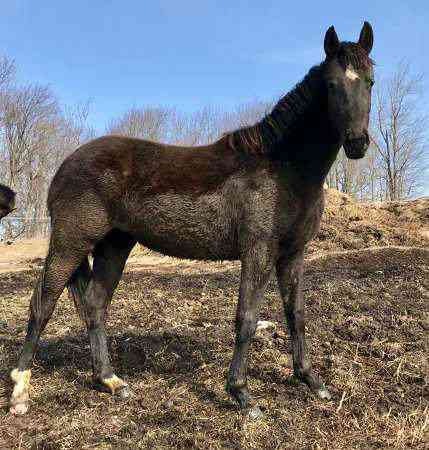 2017 GOV Black (homozygous) Oldenburg filly by Destano | Swarovski | Alcatraz. Brooklyn represents the 3rd generation of our frozen AI program with German stallions. She was awarded Premium foal award by GOV inspection committee. She is a good dressage prospect. Her sire Destano was the I-a High Premium winner at the 2011 Oldenburg Stallion Days in Vechta. Nous parlons aussi français. Visites sur rendez-vous. Toute offre sérieuse sera considérée.